A new turmeric study published in Cancer Letters is paving the way for a revolution in the way that we both understand and treat cancer. 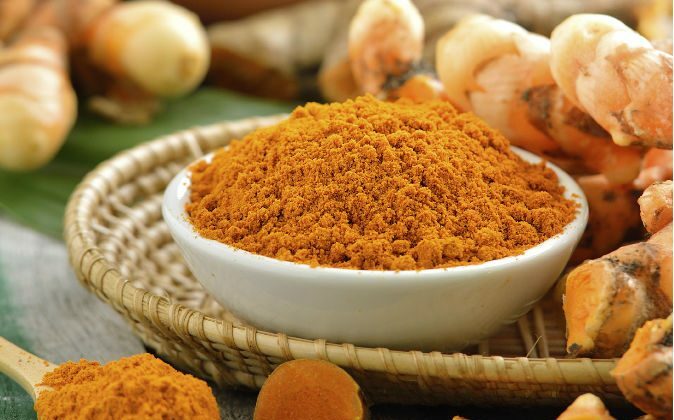 Titled, “Targeting cancer stem cells by curcumin and clinical applications,” U.S. researchers evaluated the primary polyphenol in the Indian spice known as curcumin for its ability to target cancer stem cells (CSCs), which are believed to be at the root cause of tumor formation and malignancy. Curcumin exhibits the ability to selectively kill cancer cells versus healthy cells. In other words, the CSCs are at the apex of a hierarchy of cells within the tumor, and are the “mother” of the various daughter cells that make it up, most of which are intrinsically benign. Conventional treatment with chemotherapy and radiotherapy, based on a rodent model with a 2-year experimental window to evaluate treatment efficacy and safety, was incapable of comprehending the CSC-mediated cause of post-treatment tumor recurrence, which in humans can take decades after initial treatment to manifest. Although it was possible to debulk a tumor with surgery, chemotherapy and radiation, CSC populations were often missed or even enriched as a result. When the tumor mass regrew it often became more invasive and treatment-resistant, resulting in the rapid demise and death of the patient — deaths which are often written off inaccurately or disingenuously as non-treatment related. Given that conventional treatment can drive an intrinsically benign tumor (i.e., so-called indolent tumors) into greater invasiveness through increasing the number of intrinsically resilient cancer stem cells at the very same moment that it kills the less or non-harmful daughter cells, alternative treatment approaches are needed now more than ever. Turmeric and curcumin extract have been extensively studied for their ability to kill various cancer cell lines. In fact, the literature is so abundant (see: 600 health benefits of turmeric) that it is both surprising and disheartening that so many patients who are in need of safe, effective and affordable treatments are not being given information about it. Regulation of the CSC self-renewal pathway: curcumin appears to directly and indirectly influence at least three self-renewal pathways within cancer stem cells, namely, Wnt/b-catenin, sonic hedgehog 89 (SHH), and Notch. The authors list 12 difference cancer cell lines which curcumin appear to affect positively. Modulation of microRNA: microRNAs are short non-coding RNA sequences that regulate approximately 33% of the protein-coding genes in the human genome. They bind to target messenger RNAs (mRNAs) leading to their degradation or inactivation. Curcumin has been found to alter the expression of microRNAs in cancer stem cells in a way that would suggest a strong suppression of tumor formation. Direct anti-cancer activity: Curcumin exhibits the ability to selectively kill cancer cells versus healthy cells and synergizes with conventional chemotherapy agents making them more effective (in some cases less harmful). This article was originally published on GreenMedInfo.com. Join their free GreenMedInfo.com newsletter.